Tractor Working Day, Sunday 31st March 2019. A chance to see that the older tractors are still capable of doing a useful job of work. A threshing demonstration usually takes place, but this is dependent on the availability of sheaves, as they are becoming quite scarce nowadays. To be held on Sunday 31st March 2019 at Heathfield, St Ola by kind permission of the Hourie family. Tractors will be on site for 10.00am and there will be a soup and sandwich lunch for entrants. The cultivaton date is Sunday 7th April. Activity on both days will be weather permitting and it may be postponed by a week. For further information contact Steve Ross 873754. The Orkney Cavalcade 12th May An all day event for cars, motorbikes and commercials covering about 80 miles and taking in some places of interest and a good lunch and dinner. It will be held on Sunday 12th May 2019 and details of start and route will be published nearer the time. Motorcycle Gathering, 29th June. We intend to hold a motorcycle gathering in Broad Street, Kirkwall on the afternoon of Saturday 29th June 2019. We will advertise details in the Press nearer to the time. Road Run, 7th July We intend to hold a summer road run on Sunday 7th July 2019 to exercise the old vehicles before the Rally. Details will be advertised nearer the time. Orkney Classic Motor Show 3rd and 4th August. Will be held at Kirkwall Auction Mart on Saturday 3rd and Sunday 4th August 2019. Exhibits should be in the field by 10.00am. As well as the cars, commercials, tractors and motorbikes we have an indoor exhibition of interesting smaller artifacts and displays by collectors or clubs. 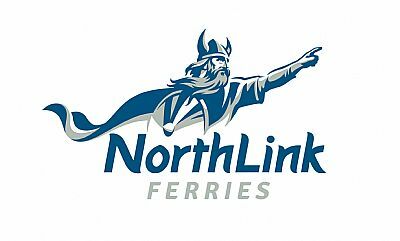 We hope that Northlink are again offering discounted fares on their Ferry Routes to Orkney in 2019 and we will contact entrants when this can be confirmed. Science Festival 7th September. 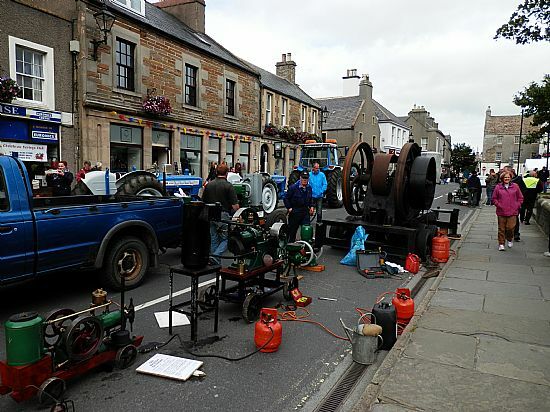 Rally held on Broad Street in Kirkwall on Saturday 7th September 2019, there is a display of vehicles, tractors and engines. A jazz band plays and there is a pleasant carnival atmosphere to the event. There will be stalls promoting Orkney Food and more modern electric vehicles will attend. Road Run September. This event will be held on a Sunday in September to be advised, and will visit some places of interest before concluding with a meal at a local hotel. Exact details will be anounced nearer the time.